Tata Indicom: Tata is offering a wide range of phones, 41 to be quite specific, ranging from the cheapest handset available to the high end PDA. The phones available are of various makes namely: ZTE, Samsung, Huawei, Pantech, Motorola, Haier, Nokia and Kyocera. The lower end is dominated by cellphones of Samsung, Huawei and Haier. Not to forget the cheapest one by Motorola i.e. the Motofone F3c. The high end phones include the MotoQ, Samsung Flo and Duo and the PDA by Konquer. Overal Verdict: The CDMA phones being showcased are quite good and can cater to all the price ranges. The high end phones may not steal the show solely because they are from Samsung and Motorola, which aren’t that well accepted in the premium segment. 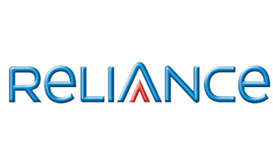 Reliance: Reliance has a huge range of cellphones in its offering, with most of them being extinct. The offering is inclined towards the lower end becuase of the demand for such phones. The low end has black and white phones, which are still used here and some basic color phones. The high end consists of two sleek PDA’s by HTC and other companies like UT Star, Telson and Kyocera. The other phones are makes of Motorola, NOkia, Samsung, LG and Classic with the last two ruling the lower end of the offering. Overall Verdict: The offering has been balanced by good quality phones being offered at the medium price level. The Motorola RaZr series and Nokia color phones are a hit in this category. The choice is definately better and wider in this case and the phones too are better than that offfered by the 1st operator. Reliance takes away the show with its medium level and medium priced phones catering to the needs of today’s market. Even the range and the quality of handsets gives it an upper hand over Tata Indicom. i beg to state that i am a student and i need to know about some comparision between tata-indicom and reliance infocom atleast 40 pages. so,please reply back me as soon as possible.